I spent lot of time developing CQRLOG and HamQTH and didn't have time to update my personal website. It took me some time but now it's finished. The website is running on Joomla 3 with a bootstrap template. It should be responsive and faster than before. Now I can write a few new articles and post them more often not only once a year :). In this episode, we have a great interview with Linux software developer and ham radio enthusiast from the Czeck Republic, Petr Hlozek – OK2CQR. 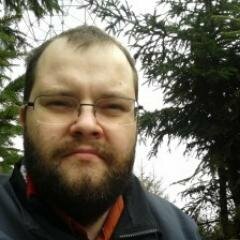 He is the author of CQRlog and HamQTH.com. Unfortunately, Petr’s audio was a little hot and nothing we could do made it better. Our sincerest apologies. Sound problems aside, we hope you enjoy this fascinating look into the life and mind of an Open Source ham. I wanted to release new version after 17th of April but ARRL has changed addresses and autorization to LoTW. This is very important feature and I decided to release new version sooner. Changelog is quite long and includes a few nice features. Packages on Lauchpad are already created, CQRLOG should be available in distribution updates very soon. It has been 14 days since the last release and we have new version again. There are a few bugs fixed and two new features added. This version is released so early because I hope it could get to new Ubuntu LTS. More in Download section. Launchpad is going to start building packages in about one hour. Please be patient. Today HamQTH.com celebrates two years anniversary with good health and growing number of users. What was the most important news last year? We moved to new and much faster server with 28 GB of RAM, 4x1TB disk connected to RAID 10. Forum has been added, now is not visited so often but hopefully, it will get better in the future. UI was improved as well. Lots of changes were made to developers interface. Application developers can use DX cluster feed, dxcc callsign search, upload QSO in real time etc. It won't be possible without your support. Please upload your images to HamQTH, tell your friends about it and use it every day. 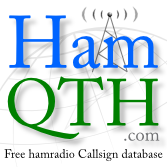 If you like HamQTH.com, please consider small donation and/or put our banner to your home page.